Fall is here and the month of October signifies not only the change of seasons, but a time where our educators and learners have developed new relationships and routines and are exploring new ideas. We are in full swing at TPS! Walking into any of our buildings, you will see adults working with children to support learning opportunities. You will see educators working directly with students, providing instruction and the opportunity for creating meaning and connections with new knowledge. You will see teachers working to facilitate experiences that help our students see themselves as learners. You will feel a "buzz" in the air while learners excitedly share their thoughts and observations with others as they build a depth of knowledge that engages them in the learning experience. You will see subjects being taught, but it doesn’t end there. Learners take this information and apply it to create new knowledge. Math and Science, along with Social Studies, and English Language Arts are used together to see the big picture. You will see and hear the demonstration of learning through our Music and Fine Arts courses - necessary components for learning that we are committed to at TPS. Our lives are a blend of each of these subjects and this holistic approach to learning, and the practical application of new knowledge and skills helps learners see the value in what they are discovering. You will see facilitators and instructional coaches working together to provide high-quality instruction and learning opportunities. These daily interactions are key to improving the way we facilitate learning; model cooperation, collaboration, and communication for our learners; and moves us one step closer to creating the ideal learning experience for each and every learner. We are proud of the work happening in our district and thank all of you for your continued feedback and support. Together, we are transforming the way we prepare young people for the future they face! October is also a time to celebrate building-level leadership as part of National Principals Month. We know that strong building leadership supports learning throughout the district, and are proud of the contributions of our principals. Please join me in thanking our Principals for their hard work and dedication to the learners and families they serve. TPS is committed to providing a safe, healthy and positive learning environment for all learners. We know that when students feel physically, emotionally, and intellectually safe they are more focused and engaged in learning. As a part of the TPS Strategic Design process, district stakeholders determined that one of the Exit Learner Outcomes for all graduates of TPS is to be a caring communicator who shows empathy, compassion, generosity, and kindness. Our staff works hard to guide our learners as they work to resolve conflict, build positive relationships and demonstrate acceptance and respect when interacting with others. The district wide bullying and harassment form was updated at learner request to better fit their needs. Guidance counselors are available to support learners in a variety of challenging situations, including bullying and harassment situations. THS Guidance Office Webpage. TPS is a Michigan OKAY2SAY participating district. OKAY2SAY connects learners with school personnel, mental health agencies, and law enforcement officials to prevent harm and provide support services. The addition of a Social Emotional Learning Consultant to support staff as they work to understand the role of trauma in a child’s life and how it affects brain development, behavior, and learning. Positive Behavior Intervention Support (PBIS) structures are in place for grades 2 - 8. The SAIL and ROLL Tribe initiatives at Compass Learning Center and the STEAM Centers provide opportunities for all students to learn respectful behaviors and take responsibility for their actions. Looping at 7th and 8th grade STEAM Centers for two years helps to build positive relationships with adults who are better able to assist learners through the challenges of adolescence. Mentor classes and continued conversation around leadership, being an upstander, and modeling positive behaviors are held at the middle school level in the STEAM Centers. Tecumseh High School offers a number of learner- and adult-led organizations, including YEAH, ROX, QSA, Voices for Change, Peer-to-Peer and Link Crew that educate teens, improve school culture, and support learners. Learn More: More information about bullying prevention awareness events, information and support resources will be shared with families on the district website, social media accounts, and newsletters throughout the month of October. This fall, residents of the TPS district will see a Non-Homestead Operating Millage Renewal on the ballot. This is NOT a tax increase, but is a renewal of the 18-mills on non-homestead properties that has been in place since 1994. Non-homestead properties are industrial, commercial, some agricultural, and second homes. The levy does not affect your primary residence and will not appear on your property tax bill. The state requires that schools must levy 18 mills on non-homestead properties to receive full State Foundation Grant funding. The revenue generated by this levy supports the operation of Tecumseh Public Schools. The Tecumseh School Board of Education consists of seven trustees who are elected by residents to serve a 6-year term. Fourteen candidates will appear on the ballot on Tuesday, Nov. 6. The Michigan Association of School Boards (MASB) website is a wealth of information regarding the role of the School Board and the characteristics of effective school board members. The Michigan Voter Information Center allows you to register to vote, verify your voter registration, apply for an absentee ballot, find your polling place, and preview the ballot for your precinct. The League of Women Voters provides the opportunity to preview the ballot before you head to the polls. Visit Vote411.org to read the ballot language and learn more about the candidates. The organization is also hosting a Meet the Candidates Night on Tuesday, Oct. 30 from 6:30 - 9:30 p.m. at the Tecumseh Center for the Arts. The event is open to the public. Presented by the state Attorney General’s Office and sponsored by Community Learning Connections, parents are encouraged to learn more about cyber-bullying, internet safety and privacy, and modeling appropriate online behaviors. Please plan to attend on Wednesday, Nov. 7 at 5:30 p.m. in the THS Media Center. Do you want to volunteer in our schools but can’t get away during the work day? Jr. SADD is looking for adult volunteers to chaperone the East and West STEAM Center Halloween/Glow Dance on Friday, Oct. 26 from 6:30-8:30 p.m. Please consider giving two hours of your time to our learners. Please use SignUp Genius to register. Studies show kids and teens perform better in school when parents are involved. Parent-Teacher Conferences are a great way to check in on your child’s progress, discuss his/her strengths and needs, open the doors of communication, and build a strong working relationship with school personnel. Mark your calendar with these important dates and look for more detailed information from your child’s teacher coming soon. Wednesday, Nov. 7; 5 - 8 p.m.
Thursday, Nov. 8; 12 - 3 p.m. and 5 - 8 p.m.
Monday, Nov. 19; 5 - 8 p.m.
Tuesday, Nov. 20; 1 - 4 p.m. and 5 - 8 p.m.
Tecumseh Public Schools welcomes Michelle Hutchison as the district’s Social Emotional Learning Consultant. 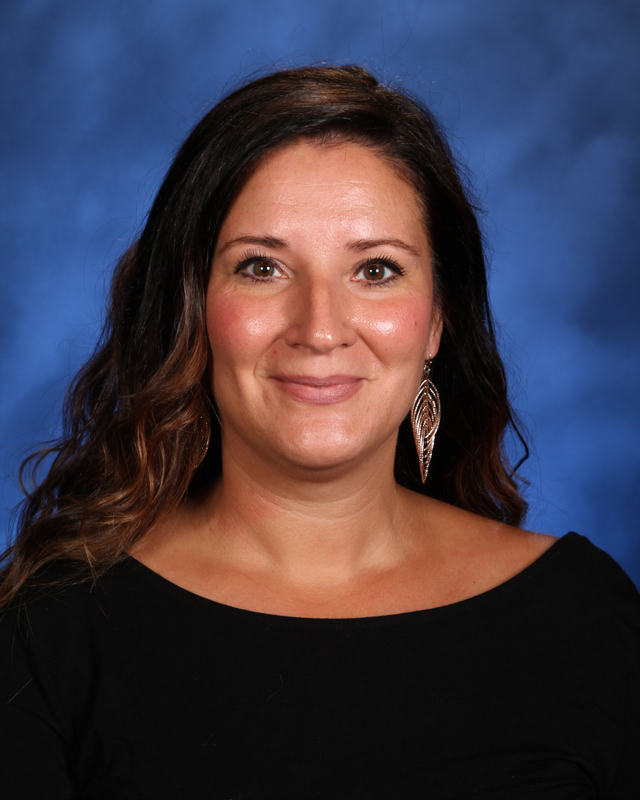 Michelle will serve as a resource to our staff districtwide. Her role helps to support the Strategic Design which provides the framework to help ensure TPS is a safe, healthy, and positive environment for all learners. 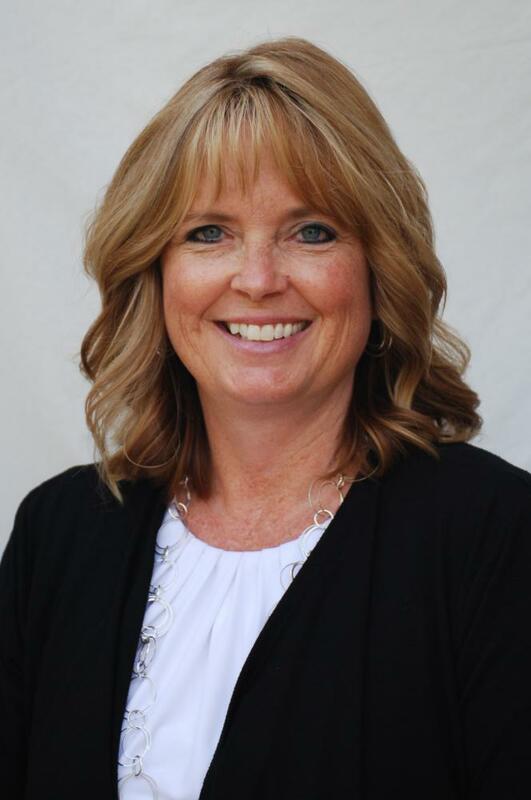 As the District’s SEL Consultant, Michelle is responsible for developing and coordinating a framework for how administrators, educators, families, and communities partner to promote students’ social, emotional, and academic learning. Social and emotional learning is the process through which children and adults gain and effectively apply the knowledge, attitudes, and skills necessary to understand and manage emotions, set and achieve goals, feel and show empathy for others, maintain positive relationships, and make responsible decisions. Michelle may be reached at mhutchison@tps.k12.mi.us with any questions you may have. From left to right: Freshmen Aden Schmidt and Jaden Benschoter; sophomores Jonah Coker and Paige Grossheim; seniors Taylor Grossheim, Alyvia Zamora, Dylan Day, Erin Rutledge, Deavin Kirn, Annika Hassenzahl, Josh Hilton and Rachel Stockford; juniors Anna McCarley and Victor Coscarelli. Right: Josh Hilton and Rachel Stockford were named Homecoming King and Queen.